The big idea: In recent years, some tribes have reaped huge profits from their gambling operations. Most American Indians, however, are still mired in poverty, unemployment, addictions, ill health and hopelessness. Is there a way to create a better future in Indian Country? 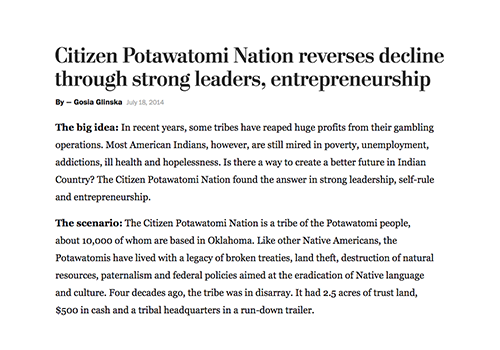 The Citizen Potawatomi Nation found the answer in strong leadership, self-rule and entrepreneurship.